Short stories from around the globe. As a native of the N ew York City area I found myself never able to stay in one place for too long and thus was born my passion for travel. However, of all the exotic places throughout the world that I have been, never did I expect for my favorite travel destination to turn out to be Toronto, by my neighbors to the north, Canada. What started out as a week-long visit to a friend for some skiing in the winter turned into a three-year adventure that has moved to the top of my list of travel highlights. I was captivated early on by my friends’ great apartment. Though certainly not luxurious, the atmosphere and location of where he lived just could not be beat. Right in the heart of downtown! However, unlike some of the other “center of towns” I’ve experienced through the years Toronto’s just seemed cleaner, livelier and friendlier. It was truly amazing. Walking up and down Bathhurst – even in the dead of winter – was just such a pleasure. 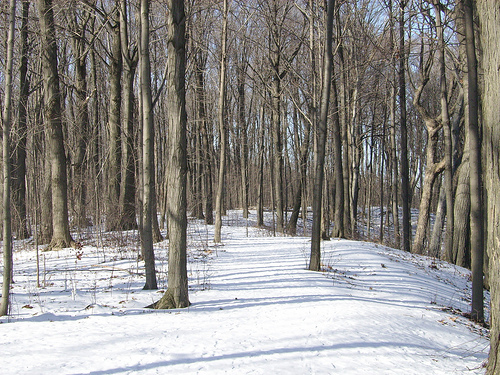 During the day times I was taken to a long time Toronto staple for our skiing excursions – Earl Bales Park (picture attached). The place is sprawling and beautiful. Combining its aesthetic beauty with the cleanest air you imagine, the friendliest people I’ve ever encountered and extremely reasonable ski prices to boot I was even further on my way to falling in love with the city. Night times were filled with more exploring of the downtown area. While we managed to catch a movie or two, most of our leisure time was spent hopping to the different restaurants and bars (again, very reasonably priced). It was beautiful. A perfect mixture of local Torontonians, visiting tourists and foreign transplants all seemed to blend together to form this wonderful atmosphere of cultural rhythm. It all just seemed right and one person was just friendlier than the next. Following visits to the Hockey Hall of Fame, Maple Leaf Gardens, The CN Tower and Honest Ed’s I was truly hooked. When a friend of my friend mentioned that his father’s furniture store needed some help, I decided to pull the trigger. I moved to Canada and spent three years taking in the city’s beauty. I have since hit the road again and have once again taken to frequent traveling. However, I feel the time to slow down is coming. I’m starting to think about settling down in one place permanently – or at least for longer than normal – and in going through all of the destinations I’ve encountered so far, Canada and Toronto seem to be where I’m leaning. Ari Strauch is a veteran traveler and the founder and creator of www.shipping2canada.com which helps people with the process of moving to and from Canada. Canadian Freelance writer living in Sardinia, Italy. Founder of The Write Travel Blog. An ex-expat who lived in Australia, England and Cayman Islands. She eats Nutella with a spoon and hides under the bed during lightening storms. When she's not running 6k you will find her sitting at the computer - writing short stories from around the globe.